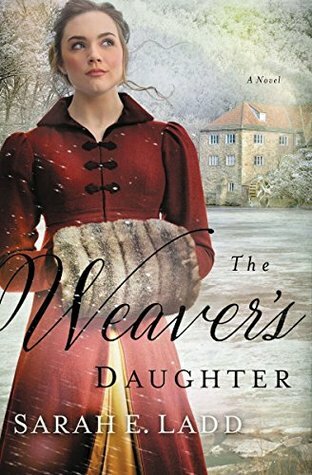 The Weaver's Daughter by Sarah E. Ladd. Publication: April 10th 2018 by Thomas Nelson. Fueled with pride, prejudice and selfishness and then combated with giving, serving and loving others unconditionally is how I would sum this book up! It describes people’s fear of technology even in the 1800’s and the wave of the future and their livelihood. Kate Dearborne is the weaver’s daughter. She helps out doing everything to make cloth. She has been doing this all her life. But the Stockton’s have money and have changed the way things are done and it is taking away jobs with the technology. It also has small children doing simple tasks. Kate’s father does well but times are changing and men do foolish things when threatened with their livelihood. Kate’s brother Charles now works for the Stocktons. He is no longer welcome at home and his father doesn’t speak to him. Kate loves them both and sees her brother often. Henry is the grandson and heir to the Stockton legacy. He left for three years and fought a war. He comes back changed. He has nightmares and his perception in life has changed. His once possible future wife is just not what he is looking for or wants anymore. He doesn’t want someone who is fickle or drama laden. He wants someone caring and serving and someone like Kate. As they run into each other often, they both find that they both have the same goals and aspirations in life. He listens to her and tries to make changes based on what she suggests but is met with opposition due to the same pride,prejudice and selfishness and lack of forgiveness in his “enemies”. As time moves forward, things go from bad to worse and people’s lives and livelihoods are tested and hurt. Kate is made to decide where her loyalties are and she can’t decide when it could mean people could be hurt. What I like is that this is like Romeo and Juliet. Except with better outcomes. People have to learn to grow and continue to be kind and humble and open and serve others and then you will be happy no matter how things might turn out! It helps that Kate and Henry are so darn cute for each other. And even in Henry’s home there is turmoil. If you like books that make you think, forgiveness, doing the right thing, testing loyalties,bprotecting what is yours, telling the truth and righting wrongs, babies, finding your match in life, pride, prejudice, and a good book then this might be for you. Sarah E. Ladd has always loved the Regency period — the clothes, the music, the literature and the art. A college trip to England and Scotland confirmed her interest in the time period and gave her idea of what life would’ve looked like in era. It wasn’t until 2010 that Ladd began writing seriously. Shortly after, Ladd released the first book in the Whispers on the Moors series. Book one of the series, The Heiress of Winterwood, was the recipient of the 2011 ACFW Genesis Award for historical romance. Ladd also has more than ten years of marketing experience. 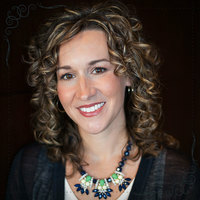 She holds degrees in public relations and marketing and lives in Indiana with her family and spunky Golden Retriever.